The Bulletin is published weekly during the academic year, except during University breaks and exam weeks, by the Office of Communications. Second class postage paid at Princeton. Postmaster: Send address changes to Princeton Weekly Bulletin, Office of Communications, Princeton University, 22 Chambers St., Suite 201, Princeton, NJ 08542. Permission is given to adapt, reprint or excerpt material from the Bulletin for use in other media. Subscriptions. The Bulletin is distributed free to faculty, staff and students. Others may subscribe to the Bulletin for $30 for the 2005-06 academic year (half price for current Princeton parents and people over 65). Send a check to Office of Communications, Princeton University, 22 Chambers St., Suite 201, Princeton, NJ 08542. Deadlines. In general, the copy deadline for each issue is the Friday 10 days in advance of the Monday cover date. The deadline for the Bulletin that covers Apr. 10-16 is Friday, Mar. 31. A complete publication schedule is available at www.princeton.edu/ pr/ pwb/ deadlines.html or by calling (609) 258-3601. Princeton NJ — Denis Twitchett, a distinguished scholar of Chinese history, died Feb. 24 in Cambridge, England. He was 80. Twitchett was the first Gordon Wu ’58 Professor of Chinese Studies at Princeton when he was named to the professorship in 1980. He is perhaps best known for “The Cambridge History of China,” the largest and most comprehensive history of China in the English language. 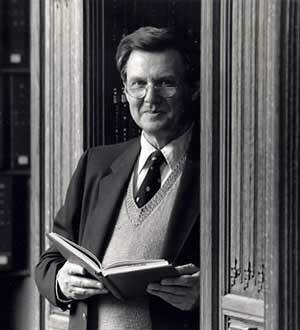 He conceived the 15-volume series, published by Cambridge University Press, with John Fairbank of Harvard University and served as editor of several of the books. Born in London on Sept. 23, 1925, Twitchett began his academic career as a student of geology and geography. An interest in Asian studies took hold during World War II, when he served in the Royal Navy and was trained in Japanese language. He earned his B.A. in Chinese studies in 1949 from Cambridge University and completed his Ph.D. there in 1955. In 1953-54, he worked under the noted historian of Chinese legal studies Niida Noboru at Tokyo University. Twitchett’s first major book, “Financial Administration Under the T’ang Dynasty,” was considered a monumental contribution to medieval Chinese history. His teaching career began at the University of London, where he lectured from 1954 to 1956. Returning to Cambridge, he was a lecturer there for four years before becoming head of the University of London’s Department of Far Eastern Languages and Literatures in 1960, a post he held for eight years. Twitchett became a professor of Chinese at Cambridge as well as a professorial fellow of St. Catherine’s College in 1968. He was elected a fellow of the British Academy in 1967. In 1973-74 and 1978-79, he was a visiting professor at Princeton and joined the faculty in the Department of East Asian Studies permanently in 1980. He taught undergraduate courses on various aspects of Chinese history from ancient times to the 18th century and led graduate seminars on a range of topics. He transferred to emeritus status in 1994. While much of his writing efforts were devoted to “The Cambridge History of China,” Twitchett also was one of the general editors of the six-volume “Cambridge History of Japan.” He wrote and edited more than a half dozen other books on Chinese historiography, the history of Chinese printing, and T’ang culture, in addition to producing “The Times Atlas of China.” For many years, he served as editor of the journal Asia Major. Twitchett is survived by his sons, Peter and Nicholas, both of Cambridge.